Save Time with Pre-loaded Tubes! 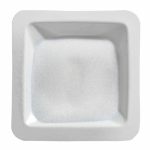 Next Advance Bead Lysis Kits are pre-filled with bead combinations optimized to homogenize your specific tissue sample. See our recommended protocols. 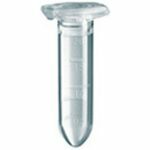 RNase-free or non-sterile. 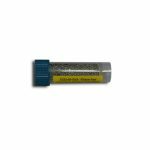 Available in packs of 50 or 250 for microcentrifuge tube kits and 20 or 100 for 5 mL tube kits. 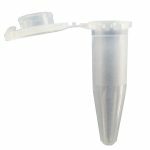 Microcentrifuge and 5 mL tube kits are in stock. 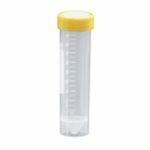 1.5 mL Eppendorf® kits are made with sturdy Eppendorf Safe-Lock tubes. 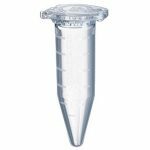 1.5 mL versions are compatible with all microcentrifuge model Bullet Blenders. 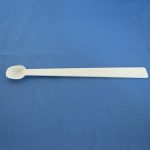 1.5 mL RINO® kits are made with strong and durable RINO tubes. 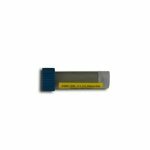 RINO tubes also contain an rubber seal within the cap to prevent against leaking. 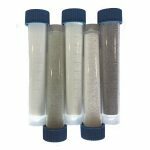 These kits are for use with 24 Storm and 24 Gold microcentrifuge-model Bullet Blenders. 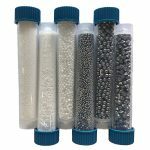 Learn more about RINO tubes! 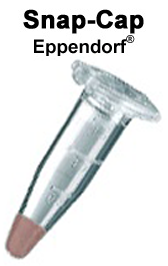 5 mL Eppendorf® kits are made with sturdy Eppendorf tubes. 5 mL versions are compatible with the 5E and 5 Gold Bullet Blender models. For 1.5, 5 and 50 mL tubes kits and custom kits – please contact us. There is no setup cost for custom kits. 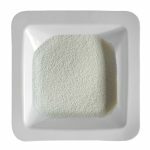 Beads are available RNase free, pre-loaded in Bead Lysis Kits, and in Sample Bead Packs for different types of applications. 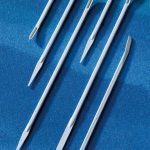 Please see our recommended protocols to determine the appropriate bead or bead lysis kit for your sample. 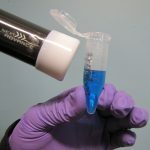 Use a volume of beads that is at least half the volume of liquid in the tube. 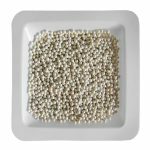 Using too few beads may lead to poor homogenization. 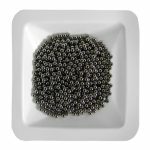 For help determining the appropriate volume of beads, use the bead calculator. 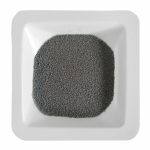 Use a size of bead proportional to the size of your sample. 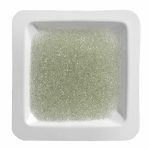 For very small samples, such as cell culture or tiny pieces of tissue, use our smallest beads (0.2mm or below). For large chunks of tissue, beads 1.0mm or greater may be needed (Beads larger than 3.5mm are not recommended for microcentrifuge tubes). 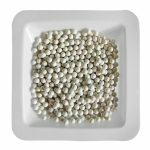 For tougher tissue, use denser beads (e.g. zirconium oxide and stainless steel). With soft tissue you can use less dense beads (e.g. glass and zirconium silicate). Protocols have been developed for various sample types so you can spend less time optimizing your experiments and more time getting results. Please see our protocol page for more information. 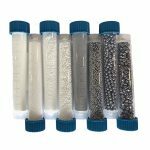 Bead Sample Packs are convenient for method optimization, or for labs that homogenize several different sample types. 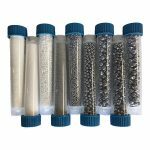 Sample packs come with a 10 mL tube of each type of included bead, EXCEPT the BSP-50B for 50 mL tube Bullet Blender models, which comes with 20 mL of each included bead type. 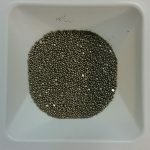 During the vigorous agitation of the homogenization process, denser beads have more momentum, resulting in more energetic impacts with the samples. 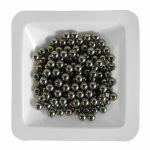 Dense beads, like those composed of stainless steal, can homogenize tougher samples. Such powerful beads do, however, cost more to manufacture. 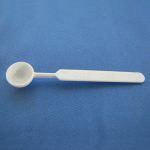 Another consideration for optimal homogenization is the size of the bead. 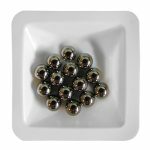 Finally, alternative bead shapes can be used to further improve homogenization of tough samples. 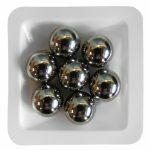 Stainless steel beads are available with a ridge. These “UFO” shapes are useful for slicing and grinding tough samples. 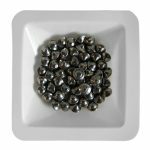 ~80 mL/pound Stainless steel beads can be used for the homogenization of tough samples or for special applications such as bacterial isolation. 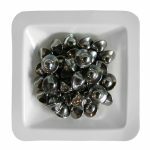 Bulk Stainless Steel Beads are sold by the pound (0.45 kg). UFO Beads are sold by the 50 mL package. 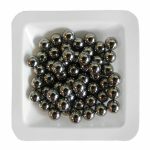 RNAse-free Stainless Steel Beads are sold by the 4 mL package. 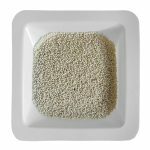 ~120 mL/pound Zirconium oxide beads can be used for the homogenization of medium consistency samples and tougher-to-lyse cell suspensions. ~180 mL/pound Zirconium silicate beads can be used for the homogenization of medium-soft samples. 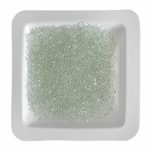 ~300 mL/pound Glass beads are used for the homogenization of soft tissue and easy-to-lyse cell suspensions. 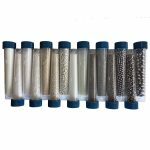 Sample packs of different bead types. 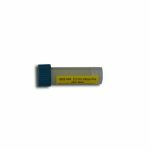 Great for methods development or for labs that work on a wide variety of samples. 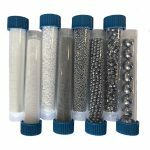 This page lists the tubes that are verified to work with each specific Bullet Blender. Next Advance does not recommend other tubes. 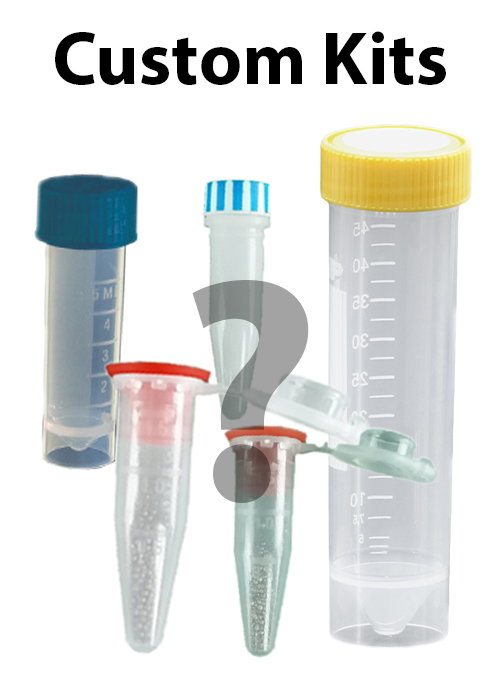 Other tubes may have different dimensions and prevent thorough homogenization. They may also crack and leak during vigorous agitation. 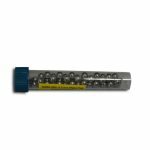 RINO® 1.5 mL Screw-Cap Tubes – Custom made, extra tough, to withstand the powerful agitation in the Bullet Blender Storm (BBY24M) and Bullet Blender Gold (BB24-AU) models. Learn More! 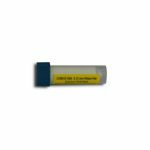 Eppendorf® Safe-Lock™ 1.5 mL Snap-Cap Tubes – For use in Bullet Blender Storm (BBY24M), Bullet Blender Gold (BB24-AU), Bullet Blender Standard Model (BBX24) and Bullet Blender Blue (BBX24B). 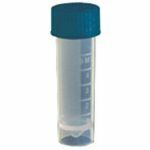 Eppendorf Safe-Lock 2.0 mL Snap-Cap Tubes – For use in Bullet Blender Standard Model (BBX24) and Bullet Blender Blue (BBX24B). 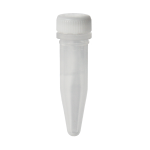 Available non-sterile or PCR clean, RNase & DNase free. 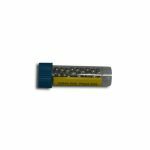 Axygen® 1.5 mL Screw-Cap Tubes – For use in Bullet Blender W (BBX24W) and Bullet Blender Blue W (BBX24BW) NOTE: These tubes can only be used in W model Bullet Blenders. Eppendorf 5.0 mL Snap-Cap Tubes – For use in Bullet Blender 5E (BBY5E) and 5 Gold (BB5E-AU). 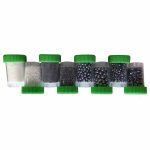 Axygen 5.0 mL Screw-Cap Self Standing Tubes – For use in Bullet Blender 5 Storm (BBY5M). 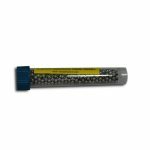 TPP® 50 mL Screw-Cap Self Standing Tubes – For use in the Bullet Blender 50-DX (BB50-DX) and the Bullet Blender 50 Gold (BB50-AU). The Arctic Rack Microtube Cooler – Why use a messy ice bucket when preparing your samples? The Arctic Rack keeps your samples cold while safely containing them in microtubes. The Arctic Rack maintains a temperature of approximately 0°C for up to 4 hours. 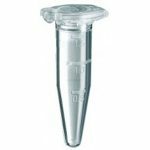 One side is a convenient PCR work station and the other holds 36 standard 1.5/2.0 mL microtubes. 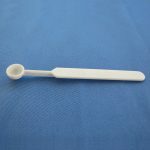 Use this hand-held wand to easily remove stainless beads from homogenate. 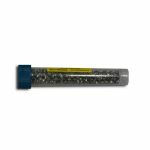 Make stainless steel beads levitate out of your sample with the “magic” Magnetic Wand. 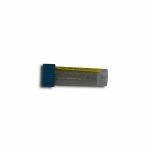 A very powerful magnet in an easy-to-handle package helps you remove beads from your sample tube before centrifugation. 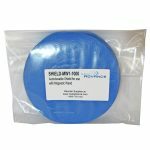 Disposable protective shields are available to prevent cross-contamination. May not be compatible with all bead sizes. Learn more. 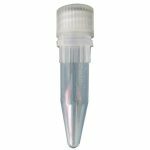 Use spoons and spatulas for dispensing beads into sample tubes.